The Made with Love story began just after Josh proposed to our director, Carla, in February 2013. What an exciting occasion – both families celebrated extensively! However, when Carla started the search for the perfect dress, she went to more than 10 bridal stores on the Gold Coast and Brisbane and left unsatisfied. She couldn’t find one dress that was perfect in style, fit and price. In a disheartened moment, Carla realized that her dream dress wasn’t a possibility this lifetime. Determined, Carla did some research to custom-make her dress. Before long, she had custom-made a few and had become friends with the seamstress; it took a lot of work but the positive results were addictive. 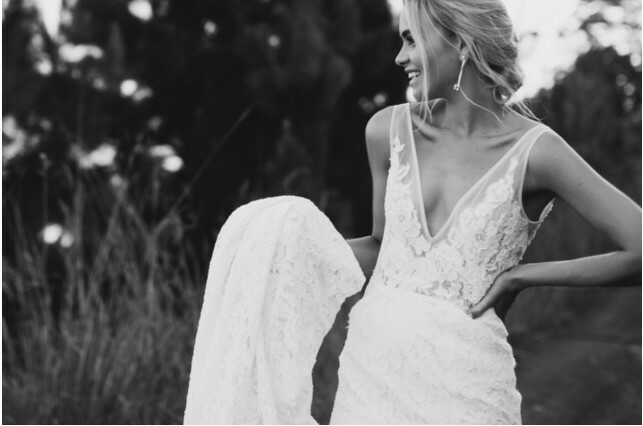 Having a natural flair for style and a love for all things ‘wedding’, Carla made a Made with Love Bridal Facebook and Instagram account that indicated a following of interest. So Carla took it further, actively looking for inspiration in the wedding industry and combining it with her bold and feminine style, and wow-factor details. Almost unintentionally, Carla completed her first bridal collection, Made with Love, in June 2013. In November 2014, Carla completed her second bridal collection, Carla’s Collection–a collection of high end designs with our down-to-earth price tag–that hit a niche in a market that asked for ‘affordable and elegant’.